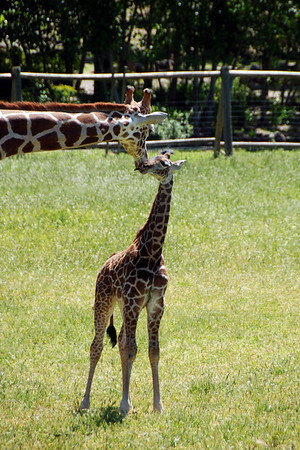 BABY AND ADULT RETICULATED GIRAFFES - Native to Africa, the giraffe is the tallest land-dwelling mammal in the world. Average height is 17 feet for males, and 14 feet for females. These photos were taken at Safari West in Santa Rosa, CA.